Zucchini Cinnamon Freezer Muffins are frozen as dough and cooked from frozen whenever you want fresh muffins – a great way to preserve zucchini. After you’ve made these muffins, try one of our other Best Bread Recipes. Freezing breads and muffins after they have been baked is nothing new to me and, in fact, is the way I traditionally use up zucchini. I found that we actually ate it if I made a number of loaves, cookies, cupcakes, cake, etc. and froze them for use throughout the winter rather than grating and freezing the zucchini itself. I just don’t find it as easy to use once it’s been frozen, so grated zucchini just tends to sit in the freezer. But this recipe for zucchini cinnamon freezer muffins is a revelation! You freeze the muffin dough before it’s cooked and then just cook as many as you need (no thawing needed) when you want fresh-from-the-oven muffins. 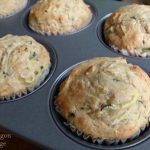 After adapting this recipe to use zucchini, I cooked one muffin right away to see if I liked the muffin itself and I did, but I was waiting to see how they baked up from frozen before sharing with you. All I’ve got to say is…find some zucchini and try this as soon as you can! They are so good and so easy, and actually, I think these may be the best zucchini muffins I’ve had. Imagine having warm muffins in 30 minutes without dirtying a bowl or even the muffin pan they cooked in! After making the muffin batter, divide it into lined muffin tins and freeze for 30 minutes, or until firm. Then separate into baggies based on the number you’d like to cook at one time- for me that would be six to fit a six-cup muffin tin- label them and throw them back in the freezer. I like to add the directions to each bag so I don’t have to look it up each time and it also makes it easy to gift a bag of these muffins to friends and family. Plop the frozen muffins in their liners into a muffin tin and bake in a preheated 375 degree oven for about 30 minutes, until lightly browned. That’s it. Can you believe it? Oh, where have you been all my zucchini-growing life? 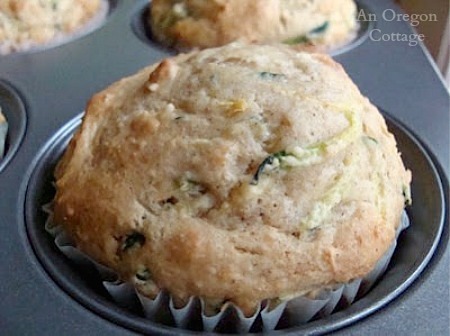 Easy muffins to freeze as dough and enjoy fresh from the oven any time using seasonal zucchini. Stir together the flours, sugars, baking powder, soda, salt, and cinnamon in a large bowl. In a smaller bowl (a 2-cup measure with pour spout is perfect), mix the yogurt, butter, and egg. Add to the flour mixture, along with the zucchini and stir just until mixed. Spoon the batter into the prepared muffin tin. Freeze for about 30 minutes until firm and then transfer the individual cups to freezer bags or containers, label and freeze until ready to bake (or bake immediately – see note). When ready to bake, preheat oven to 375 degrees and place as many frozen muffins as you want back into a muffin tin (to keep their shape). Bake for about 30 minutes, or until a toothpick in the center comes out clean. 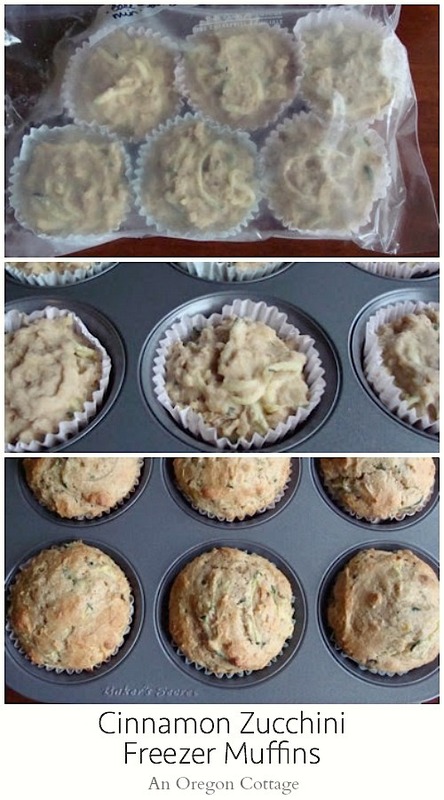 Remove baked muffins from the tin and transfer to a baking rack to cool. -It really makes more than 12- you can get two or three more from one batch and 6 more from a double batch. Just freeze the extra in lined cups or small ramekins if you don’t have more muffin tins. -They tend to stick to the paper wrapper after being frozen and baked – you can let them cool fully or use easy-release muffin liners. -You can bake them right away, as well: Bake at 375 for 20 minutes. LOVE the hints and suggestions! WOW ! Basil to put up in freezer and these freezer Zucchini muffins! FAR out! Thank you so much !!! Great ideas! 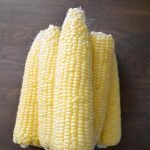 You’re welcome – I hope you enjoy them! Just found your blog and am loving you already! Would the freezing ahead work with banana and pumpkin muffins as well? And would there be any adjustments if using sprouted whole wheat flour? Thank you!! Yes, you can use this method with any muffins – so convenient! So, the thing with sprouted flour is that it’s ‘rustic’ and could probably be substituted 1:1 with regular whole wheat flour, though the bread would be denser. This muffin is meant to be lighter and so I use whole wheat pastry flour (made with a soft white wheat). I think a 1:1 ratio would make a pretty dense muffin. But here’s the thing – you may like it that way! Experiment and see what you like best. 🙂 The technique would remain the same either way. I used the sprouted flour and, as you predicted, it made a denser muffin but my family liked them just fine 🙂 I made pumpkin muffins also, doubled the batch and froze half I’m thrilled to have this option for ourselves as well as for delivering to friends for ministering. Can’t thank you enough 🙂 Blessings! I just made these for breakfast and they are AWESOME! Thanks so much for sharing! I am going to share them on my blog and link to you! I have made the Martha Stewart version of this recipe many times and enjoyed it, so I was excited to try your zucchini version. I made them this week and they were wonderful!! I baked some immediatly and froze the rest. I baked the ones that I froze today and they are just as good! Thanks for a yummy, healthful, recipe!! Thanks for sharing this recipe. It’s a good one to use for Freezer Day Cooking which I need to plan for this month. Great idea and healthy recipe. Have a great day! I can smell them from here! I think I will love these! Making them soon! What a creative idea. it’s making me hungry! freezing goodness. .
smart! I’m hoping for some zucchini in my co-op basket tomorrow! What an amazing recipe. This way you can always have freshly baked muffins warm out of the oven. I love it. Thanks for sharing this recipe. By the way, I’ll be holding a CSN giveaway on my blog next week Monday, so be sure to check back then for a chance to enter. This is so great for those last minute visitors who sometimes pop by. 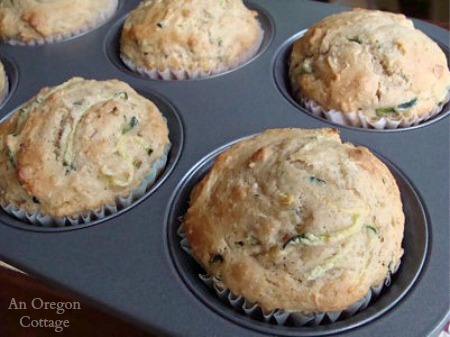 I also love zucchini cakes and muffins so this recipe is perfect for me! Thanks for sharing! Thanks for this recipe. I’ve still got lots of zukes lurking in the refrige. (Visiting from WFMW). I can’t wait to try this recipe! 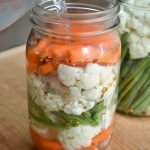 I love your blog and have found so much inspirational information and excellent recipe ideas here! I am awed by your preserving list! Jamie- Yes, you can use regular whole wheat with the unbleached white flour- pastry just makes a lighter finished product, but it’s not a huge difference. Grate zucchini with a cheese grater or in a food processor fitted with the grating attachment. Yum! Looks good. Can’t wait to try them! 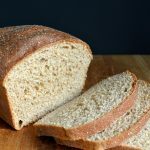 Can I just use regular (not pastry) whole wheat four and unbleached white flour? How do you shred zucchini? Like with a potato peeler or a cheese grater??? Help! I’ve only baked and roasted it! I love this idea! How wonderful to have those yummy muffins just waiting to be baked in the freezer. The recipe itself sounds really delicious – especially with the cinnamon. I’m bookmarking this one!! Thanks for sharing it.